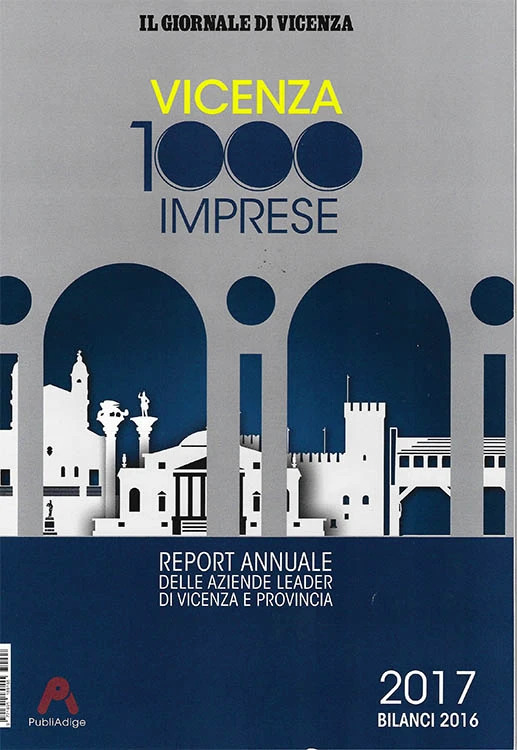 Francom has confirmed its standing as one of the leading enterprises in the province of Vicenza by improving its position with respect to last year according to the “Vicenza 1000 Companies Report” for 2017, the annual listing of top companies in the city and province of Vicenza, published by Giornale di Vicenza. 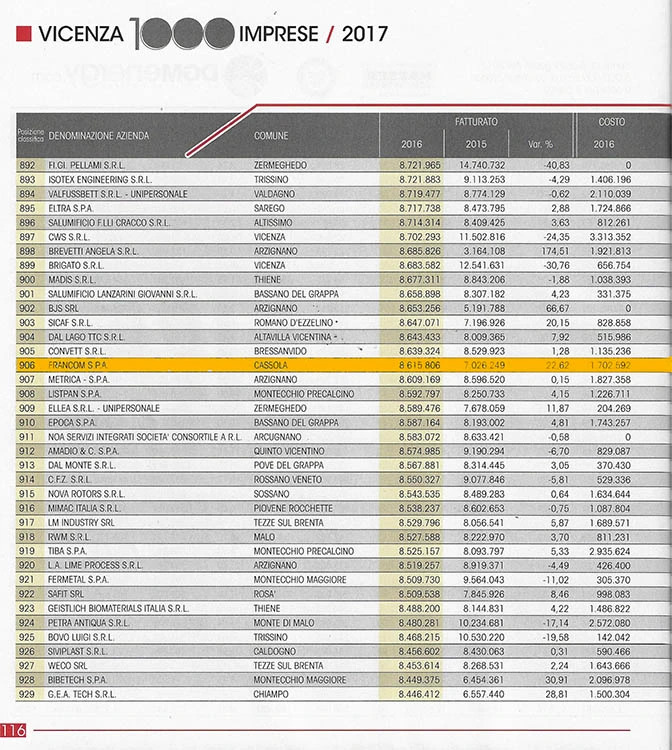 Francom first appeared among the province’s top 1000 companies for turnover last year. In this year’s position table, Francom has climbed about sixty places thanks to the figures in its 2016 financial statement, according to CERVED statistics. The 2017 listing is based in declared turnover for the year 2016, arranged by business area and considering earnings, operating costs costs, amortisation, depreciation, personnel costs and net assets. Francom has risen from position 962 to position 906 thanks to an increase in turnover of 22.6% (from 7,026,249 Euros in 2016 to 8,615,806 Euros in 2016). The Syncro System Group’s total turnover, including that of its controlled companies, came to 11 million Euros. Driven by a commitment to continuous improvement, Francom is continuing to grow at an impressive rate. 2017 was a record year and gives good reason to believe that the company will rise in the listing again next year. As President of the Syncro System Group, Luca Comunello, points out, “We shall be finalising our financial statement for 2017 with a turnover of 10 million, 13 if we take our controlled companies into account”.